with new parts looking like the originals. with your knowledge of its history. repair / replacement of damaged / missing parts. Your pipe will be brought back to working order. to receive an offer on your pipe. Photos makes this process easier. is added to your bill. for you to examine with my comments. Normally pipes are repaired within 21 days. up to 1 kilo of freight weight. secure server when repair is done. 5.The pipe(s) are returned by mail upon payment. made by G. Larsen - Lillehammer. - Lillehammer, Norway about 1870.
pipe tradition dating from early 19th century until about 1920.
became more available from the colonies. who did not leave any form of signatures on their work. 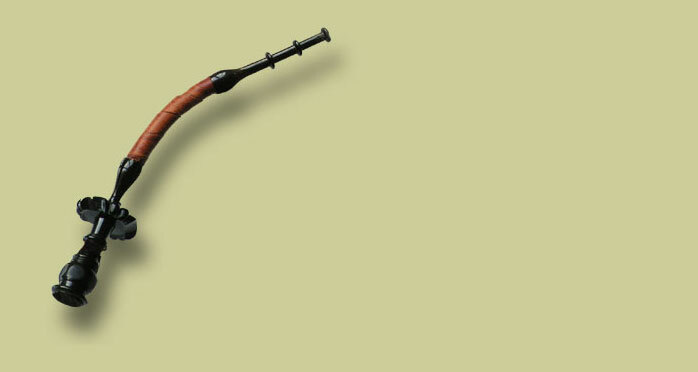 were one of the first Norwegians specializing in pipemaking. He stamped his pipes "G.LARSEN" and used the silver stamp "G.L.". 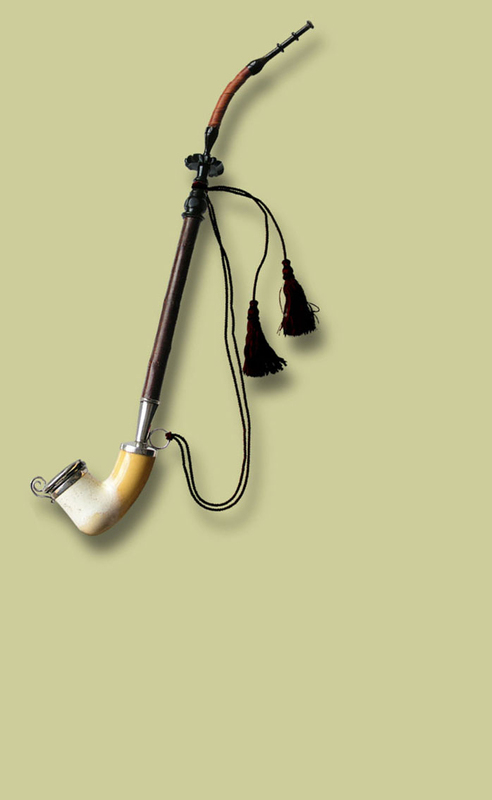 The pipe head were commonly made from meerschaum. the fragile meerschaum and to make the pipe more beautiful. making sure the lid were kept shut while smoking. Underneath the lid, small ventilation holes ensures draft to the pipe. The silverring underneath in the rear served to attach the chord with tassels. a spring lock that kept the lid shut. like the one on the picture. to the pipe head in a silver ring. and maybe to flavour the tobacco smoke. Cherry has a sweet scent. The woodpiece was threaded on to the rest of the mouthpiece. into the coned silver fitting on the pipe head. The bark was often left on. the mouthpieces were equipped with flexible hoses. In this way, the smoker could easier control the mouthpiece. were cut on the lathe from ebonite or horn. could be broken off piece by piece. This ensured a new bit when the old were worn out. covered with either black cotton or by leather. The latter is used on this pipe. With the help of the cord, the pipe could be hung when not in use. and wall racks for hanging the pipes, and to place tobaccos. to use with their tobaccos. Sometimes, glass pearls were added to the chords. The tassels served as decoration. Cord with tassels, mounted: EURO 50 / US$ 63.